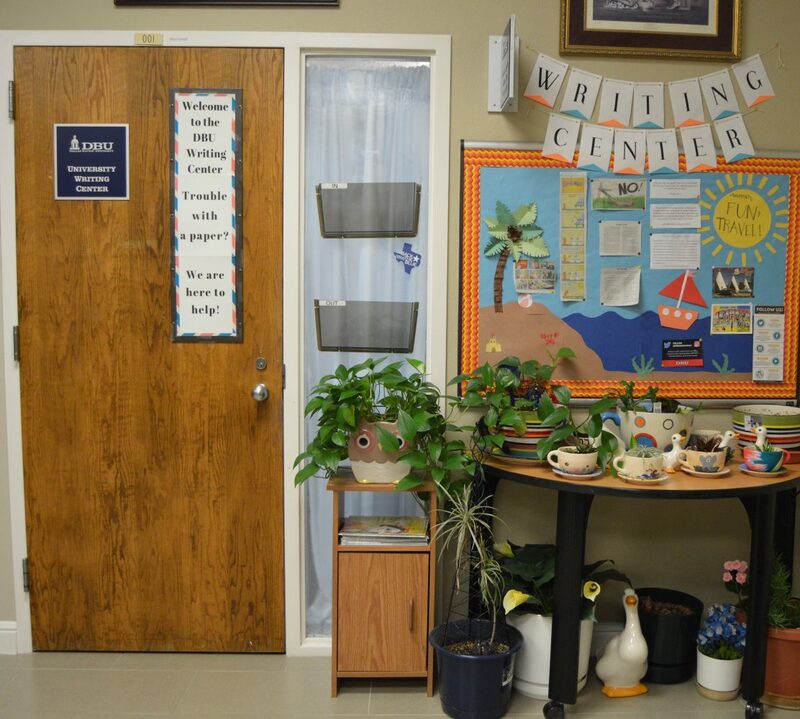 There is a certain stigma that can come with the idea of a University Writing Center. It is often thought to be a place of all work and no play; a place where papers are marked with endless red ink; a cold dungeon where despairing and desperate students go to fix their problems. We are here to prove every part of that stigma wrong. The DBU Writing Center works daily to provide a warm, caring atmosphere that supports Dallas Baptist University’s mission to produce Christ-centered servant leaders in all academic disciplines. We ourselves are a diverse group of student workers across many backgrounds, strengths, and fields of study. We are humans, too; we go to school, we hang out with our friends, we love to have a good time, we laugh and joke around, and we learn from everything around us, including experiences both inside and outside the Writing Center. This blog exists to reach our students and the world with our passion for writing and our love of discovery. You’ll find posts on just about any topic—writing advice and encouragement, ideas for things to do, holidays, family, and overthinkings, to name a few. We want to show everyone what life is really like in the UWC—it’s hard work, but it’s worth it, and it’s a lot of fun. All we ask is that you, dear reader, enjoy writing with us. Join us in our mission to make writing an enjoyable experience in every respect.